Linda Funk assists clients in telling their stories by developing and executing marketing communication programs and high-impact public relations campaigns. She brings years of experience as a staff member of agriculture promotion boards. Her relationships with trade and consumer media are key to clients’ success. She travels the world to speak about clients’ product benefits to increase awareness among target audiences. To accomplish her tasks, she has worked alongside such luminaries as Julia Child, and the presidents and diplomats of several nations. Her work involves extensive travel in the U.S., Japan, Thailand, Singapore, Malaysia, China, Mexico, Africa and Canada. Linda’s institution-building and organization-creating experience includes The Soyfoods Council, which promotes the services and products of companies, organizations and individuals. She arranges radio and TV interviews and product demonstrations for clients, in venues that range from state fairs to hotels in Asia and culinary schools worldwide. She also creates trade show and media events at major locations including EPCOT Center, The Culinary Institute of America, the Fancy Food Show and the Natural Products Expo. 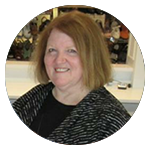 Linda has set up numerous high-impact tours to showcase clients’ passion and products. These events bring together dietitians, bloggers, chefs, educators, and journalists. Linda has orchestrated high-profile placements for clients, including broadcast segments on NBC Nightly News “Making a Difference” and NPR; print publications ranging from business magazines such as Restaurant Hospitality and Progressive Grocer’s Editor Picks Awards, to features in national newspapers and magazines, including Cooking Light, Woman’s Day and Washington Post. She has created culinary events with celebrity and trendsetting chefs such as David Burke, Larry Forgione, Susan Spicer and dozens of others. Her industry involvement includes serving on the boards of The American Institute of Wine and Food, International Foodservice Editorial Council, Culinary Institute of America, Stout University Foundation and Wisconsin 4-H Foundation. She has been recognized by HEIB (Home Economist in Business) as Business Home Economist of the Year, and received the “Betty” Award, the highest service award that the International Foodservice Editorial Council bestows on its members. 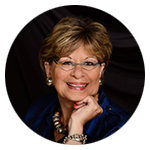 Gail has been a speaker at numerous foodservice conferences, including The International Association of Culinary Professionals, the Academy of Nutrition and Dietetics, The American Institute of Wine and Food, MUFSO, the Cheers Beverage Conference, and the Fabulous Food Show, among others. She was a member of the national speakers’ bureau for the Resetting the American Table project, cosponsored by The American Dietetics Association (now the Academy for Nutrition and Dietetics) and the American Institute of Wine and Food. Gail served as President of the International Foodservice Editorial Council and served three additional terms on the board. In 2008 and 2009 she was a judge for the James Beard Foundation Journalism Awards for Food Writing. She has also done consulting work for the Hospitality Program at Cuyahoga Community College, served on the National Advisory Board of the Culinary Arts Institute at Mississippi University for Women, and was a member of the Editorial Advisory Board for The Cleveland Clinic Press. Before becoming a food editor, Gail was beverage editor of Restaurant Hospitality for several years. She also served as contributing editor for BarProfits online newsletter published by Bar Media. She wrote a 64-page foodservice educational booklet, Serving and Selling Wine, for Coca-Cola/ The Wine Spectrum, and has written beverage-related articles for American Express, beverage manufacturers, and beverage industry trade publications. Gail’s seven books include Design Spirits (an international hospitality design book that has been translated into several languages), Cleveland Food Memories (a local food history/nostalgia book), and The Vegetable Storybook (co-authored with Vicki Draeger, Ph.D.) that won a 2010 “Best in the U.S.” Gourmand World Cookbook Award. 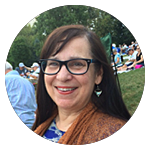 In addition, Gail is an adjunct professor who teaches college courses ranging from food and culture to professional communications and food writing. She earned her Certified Culinary Professional credentials through the International Association of Culinary Professionals. Her magazine writing has received numerous awards in local, statewide and national journalism competitions. Jeanette Riechers has 30-plus years of foodservice experience, working in public relations and marketing communications for agriculture promotion boards and branded manufacturers, in both the business-to-business and business-to-consumer arenas. Jeanette’s foodservice focus began at Independent Restaurants magazine. In her 13 years there, she wrote on numerous topics, from restaurant profiles to food safety and food trends. As Editor in Chief, she spoke extensively at conferences and trade shows on industry trends and issues, with information obtained through the magazine’s proprietary research and through an exclusive relationship with the Gallup Organization. She attended trade shows and conferences in many industry segments, including restaurants, school foodservice, catering and hotels. She also attended tours hosted by agriculture promotion boards and branded product manufacturers. At Stephan & Brady, an advertising, marketing and public relations agency, she was Vice President and Associate Director of Public Relations. In her 13 years there, she managed foodservice accounts including Wisconsin Milk Marketing Board, American Egg Board, Sargento, Provimi Veal, Ambrosia Chocolate, Oscar Mayer Foods, and many Kraft Foodservice brands. She attended a wide range of trade shows and conferences, including the Pizza Show, Fancy Food Show, IFT, the Research Chefs Conference, the Monterey Wine Festival, and others. Leveraging her knowledge of editorial needs and deadlines, she worked with clients to develop communications programs, industry tours and desk-side editorial briefings, and to develop creative and impactful events and promotions integrated with their core strategies. One example: a multi-year series of Chef Showcase competitions for Wisconsin Milk Marketing Board. She was also on a team that coordinated a year-long national promotion celebrating the world’s largest cheese, a 40,000-pound block of Wisconsin Cheddar. Jeanette was inducted as a Life Fellow of the Society for the Advancement of Foodservice Research. At the International Foodservice Editorial Council, she served on the Board and in many committee leadership posts. She received IFEC’s top award: the Betty Bastion Outstanding Service Award. Jeanette has also worked in communication programs for Perdue Farms and Crave Brothers Farmstead Cheese. She has worked closely with acclaimed chefs and food experts, including Julia Child, Larry Forgione, and Sanford D’Amato, as well as with future industry stars, such as culinary school students.